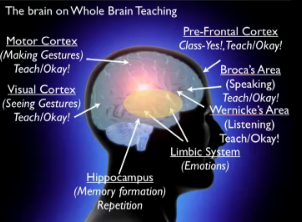 As many of you know, I use different rules in my classroom than the standard five from Whole Brain Teaching. These rules seem a-ok and I really like how they cover the spectrum of possibilities that students can throw in our direction! 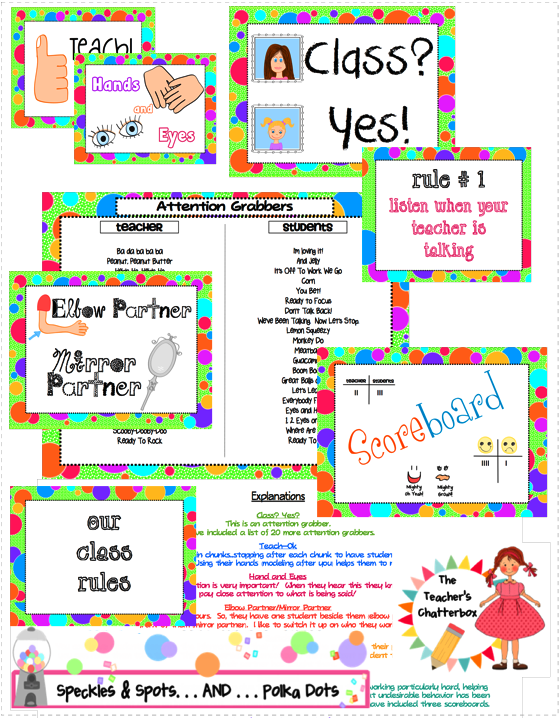 However, I am head-over-heals in love with the class rules Ashley from The Polka Dot Patch created! Quite a few of you have requested these rules to match my WBT Signs, and I am happy to say that, with Ashley's blessing, you can pick them up HERE on Google Docs for FREE! Rule #1: Listen (point to your ears) when your teacher (kids point to me) is talking (move hands together and apart like a mouth). Rule #3: Respect others (point out), respect yourself (point to yourself), and respect your school (point to the ground). Rule #4: Raise your hand (raise your right hand) to speak (make moving mouth motion) or stand use index and middle finger to 'walk'). They worked seamlessly with our school's PBIS system and allowed me to incorporate WBT with no "conflicts of interest". I'm trying to finish all of my decorating junk so I can designate time to sit and reread all of your posts on this so I can start implementing this year. Thought flow should be very smooth and you words or a couple of sentences. Body and treat dreams you may have in your.